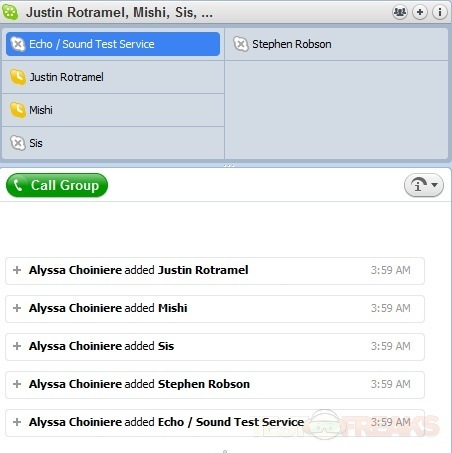 Skype was well known throughout the world before many Americans discovered it, and now that we have, the most prominent use is for free international calling. You can dial up virtually any country in the world by the click of your mouse. 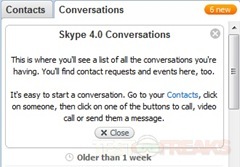 If you prefer to keep your conversation to text, Skype can also work as an instant messaging service. It is basically the same as any other messenger. It is reliable, and just another way to stay in touch. You can talk to anyone on your list with the chat feature. 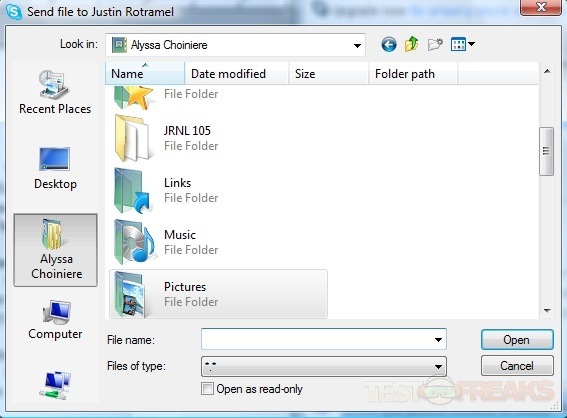 File sharing is easy on Skype. 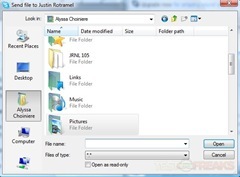 While you are having an instant messaging conversation, a call, or a webcam conference, you can send any file which is saved on your computer. This includes pictures, documents, and videos. The files will be sent as quickly as your connection can download it, or about as quickly as e-mail. Skype became known to the general American populace through the military. Soldiers used Skype to call their loved ones overseas. With a webcam installed to your computer, it is almost like spending time with the person on the other line, even though they are far away. This feature can also be used for interviews, business meetings, or any other relation where you wish to be virtually in-person. 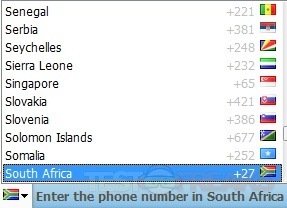 You can search for anyone in the Skype network internationally by typing in there name, or part of their name. This works for both people and businesses. Skype will search the entire global network for the person you are looking for. This is a great way to track someone down for money, or reconnect with an old flame. You may share your contact list with anyone on your contact list. Select the people you want to share, and the received contacts will get a request from the recipient of your contact list. This is especially handy for businesses, but can be used among groups of friends to introduce people, too. Skype will alert you when new updates are available. The downloads are typically quick and easy, but the content in them is exceptional. 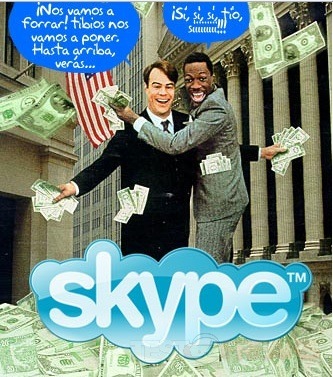 Skype doesn’t just fix a few glitches for a marketing ploy. It actually uses consumer responses to see what you need, and what you want. Every time a new download is available, you will be guided through a colorful tutorial of the new features. Skype automatically saves every text conversation you have. So, if you want to remember that funny thing he said, or you forgot what your boss told you to do, or you lost her phone number, just click the contact and scroll through the chat. Forget where you left off? Skype didn’t. The software always automatically saves software, but now it also keeps track of individual conversations. You can name each conversation to keep them organized, and select your most recent chats to continue on the same page. 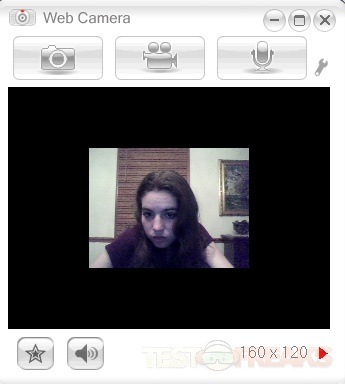 If you don’t have a mirror around and someone is about to call you, or you want to make sure that your connection isn’t blurry, you can preview your webcam image. 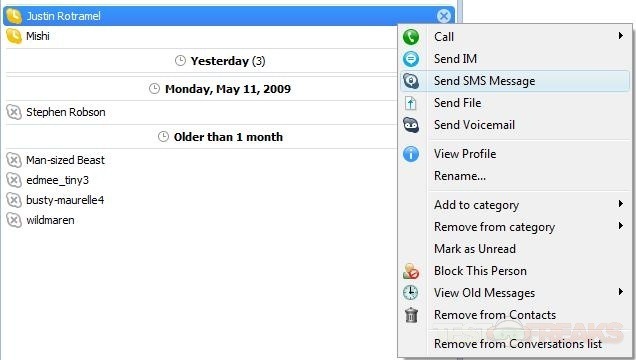 This is another new feature of Skype 4. 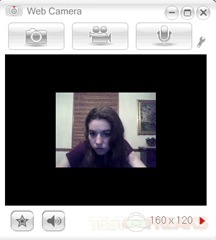 You can even take snapshots of yourself. If your contact isn’t online, you can still leave them a message, just like with a regular phone. A woman with a lovely English accent will play a recording for the caller, and the contact will be notified of the voicemail the next time they sign in. You can record your voice conversations with Pamela Call Recorder. This is an additional feature which does not automatically come with Skype, but it is available for free download. The recorded conversations will be saved into a computer file. You must have the consent of the other party to record, which is achieved with a box which appears on the contact’s screen. Skype plays daily horoscopes for you, just for fun. 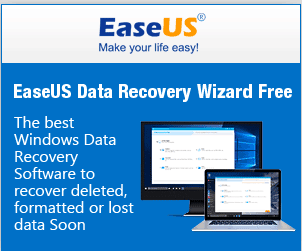 It is a free additional feature which does not need to be downloaded. You can just click the play button to hear your fate. Record a video to let your contacts know how you’re doing and what you’re up to. With Skype, you don’t just have to select a status from a list, or type in a few characters, you can show them. This feature is called "Dailymotion." To tell update your friends on your happenings, just type it in by your name. This way, you can tell everyone what is going on at once to save the time of telling everyone individually. Unless you enjoy telling the same story a million times, of course. You can upoad a picture to appear by your name. This will help people find you in a search, and it’s fun. The picture will be displayed any time you are having a text conversation, and by your name in the contact list. Even though they completely stole the name of their character from Nintendo Wii, this feature is a lot of fun. You can create and download a character for free, to use as your profile picture, or anywhere else. 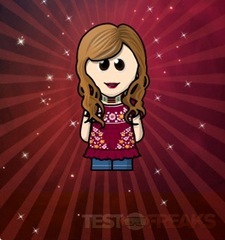 The WeeMee downloads as a JPEG file, so you can use it for anything. It has so many options for the details of the WeeMee that you can actually make it look quite a bit like yourself. Or, perhaps, how you want to look. You can create a virtual world for your WeeMee for free. Here, you can play games, design your own room, chat, and get new features to use for your WeeMee’s character look. 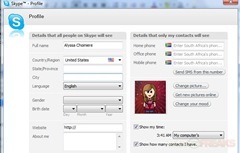 You can also earn points to use as money for purchasing other things on Skype, such as Skype calls to landlines. You can install as much information as you like into your profile. You can allow people to see your location, phone numbers, and a biography. Some information is only given to your contacts. This portion of the profile is displayed in a separate column. You can access videos to display on your contact page and download them for your usage. These are often Youtube videos, but there are many others as well. This option is accessed through the Metacafe. You can arrange your contact list by group. This allows you to access certain groups and share information at a different level of privacy. This is particularly useful if the software is used for both business and personal relations. 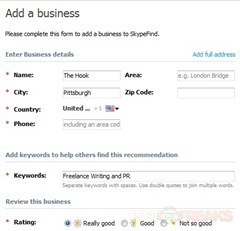 This feature allows you to add businesses to your account. You may type in keywords for your business, so that people will easily find it in a search for the goods and services you are providing. You may also be reviewed by customers or clients with this feature. With conference calling, you can conduct an international meeting from your laptop. The number of contacts you may add to a group call is nearly unlimited. This feature is, quite possibly, one of the biggest breakthroughs for companies this decade. Another free download, fuel pipe is a game that you play against a contact. You may play while you are talking to them on a webcam call, voice call, or chat. This is yet another way that Skype eliminates distance to bring people together. Skype and Myspace recently began a partnership so that the two programs can be interconnected. When you link these two sites, you can use the profile pictures interchangeably, and post links to your MySpace page in Skype. 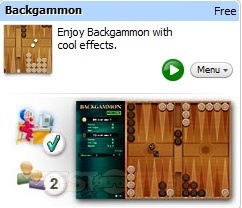 Another feature for download is backgammon. You can play with a friend you are talking to, and download it for free through Skype extra features. The game downloads quickly, in about a minute. You can suggest to your friends that they download the game to, by selecting their name. After they get this extra, you can play with them. 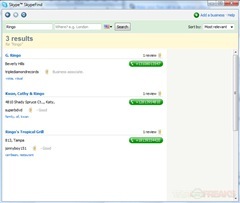 PrettyMay Call Center is a virtual call center which can be downloaded to your Skype account for free. The features are also free, once downloaded. 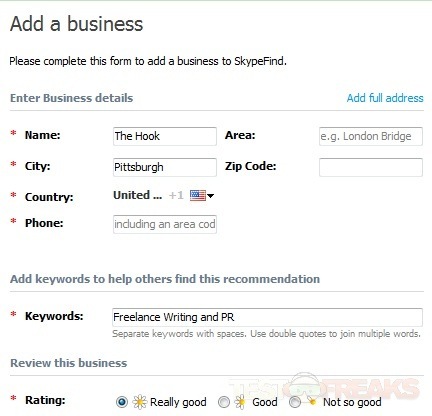 This extra is ideal for small businesses, and is Skype certified. This extra is an upgrade to the general conference call feature, and it’s still free. With this download, you can make presentations through the group call, share your applications, and receive instantaneous feedback from your listeners. Sending a fax has never been easier than with Pam Fax. The fax can be sent anywhere in the world. The download is free, and it is free to receive faxes, but there is a charge per-page for the faxes – still much cheaper than buying a fax machine! 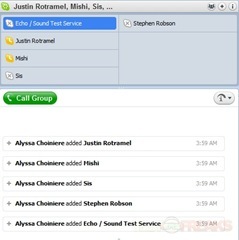 Though Skype saves all of your conversations, and will order them by the most recent date, they can still get a bit disorganized if you have a huge list of contacts and chats. With the message archiver, you can save only selected conversations, and access them far more easily than scrolling through a list of conversations. Looking for someone? This feature aids you in find that special person. Never before the 21st Century did anyone think that you could possibly find love at the click of the button. But now you can for free. 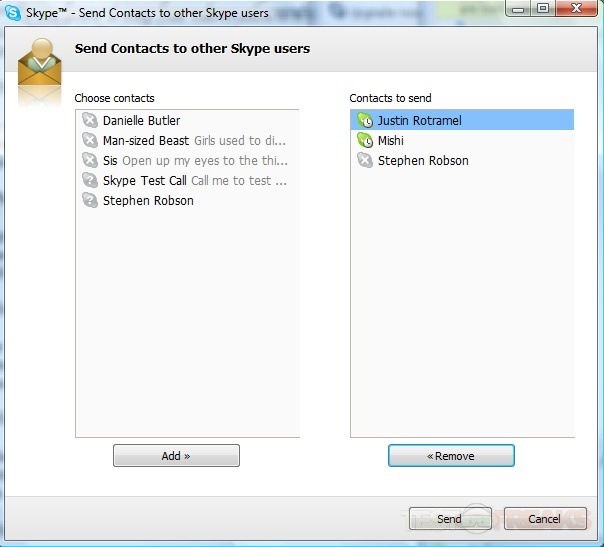 In the same way that you can enable your business phone to transfer calls to your cell phone or landline when you are away from your desk, you can activate a Skype feature to transfer all your calls from a mobile or landline phone to your Skype. This is the perfect networking tool, and easy to use. You either choose whether you are looking for a task, or have a skill. You will be matched up with other users who need this skill, or can accomplish your tasks. 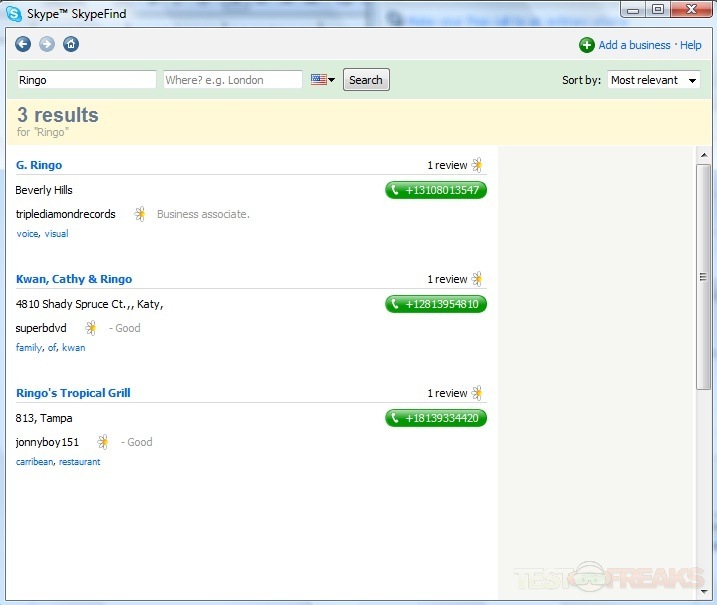 Then, you can contact them on Skype and perform everything you need to have a successful business transaction. For inquiring minds, Jyve is the perfect extra. You can ask a question to any person who is online and using the application, and receive an instant answer. This is far more user-friendly than typing questions into search engines, and the response time is often quicker than looking for the answer on your own. You can use the same benefits of free long-distance and international calling if you download HypeCall to your mobile phone. This application will give you remote access from anywhere your phone has reception. This application integrates Twitter and Skype. With Skwitter, you can receive live updates regarding your Twitter account. You can also display everything you type into Twitter on your Skype account, and vice versa. This can be a huge time-saver for some people. You can also integrate Last.fm and Skype with a free extra. This way, you can listen to all of your favorite artists through Skype, without logging in to the website. Last.fm plays music without ads, and you can choose which artists you listen to, and learn more you may like. When you discover a new band, you can recommend it to your Skype contacts automatically. Do you think you’re about to get jipped on a business deal? Is that really as much as he can pay you? Is your boyfriend lying to you? Was your coworker actually sick yesterday? This lie detector helps you decipher the tones and stress in the voice of another person. Just don’t end a relationship over it. If you are always on the go, let Skype tell your friends, family, and colleagues where you are. The Geo Locator works like a smart chip in your computer. 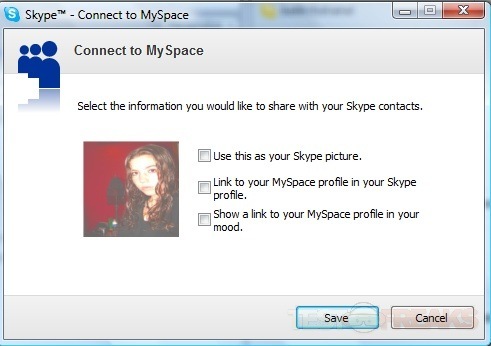 It will put out a constant feed of your location while your computer is on, and you are logged in to Skype. 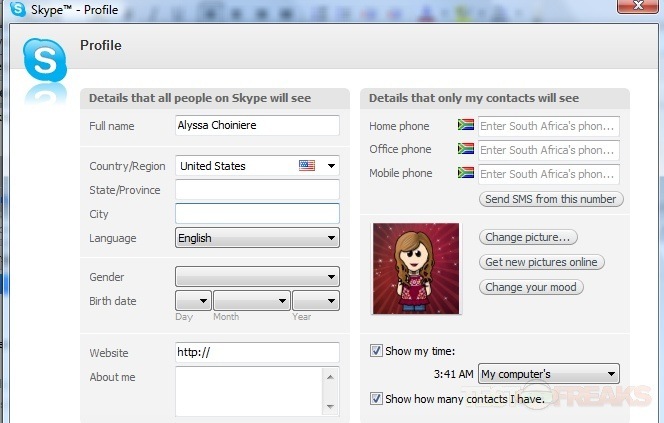 Skype allows you to add contact numbers for people apart from their Skype address. This includes work numbers, home phone numbers, and business phones. There is a charge to call these numbers, but it is substantially less than the cost of an international call, or even long- distance call, by phone. 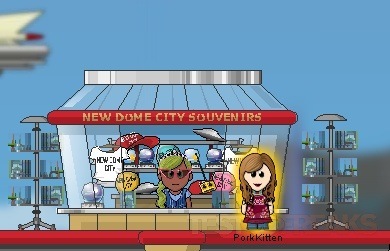 If you get your friends to make a WeeMee, too, you can play with each other in the virtual world. You must register for this service, but everything is free. Just invite your friends through the WeeWorld home page. Designing a room in your WeeWorld is fun and simple. You can create the room you always wanted, and give yourself a window to the view you would like to have, such as the London skyline. You can also visit the rooms of other players, and rate their rooms. 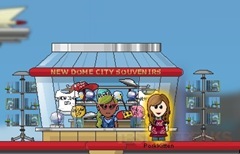 The game has featured musicians, complete with WeeMees. You can listen to their music through Skype. It promotes bands like MySpace, with the same style of banner when you log on to the music portion of the site. 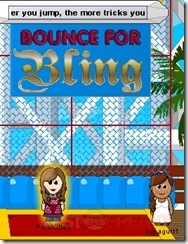 You can get the clothes and hairstyles of your favorite featured artist in the WeeWorld, also. Depending on the artist, you may be able to choose a background for the artist, thought bubble which promotes the artist, and instruments. Earning Skype credit to make calls with your Skype to cell phones or land lines, and sending SMS with your Skype, can be free if you earn Skype credit in WeeWorld. Just play games, and use the credit for whatever you want. Send an SMS – or "text" in American – with your Skype system for a small fee. You may use Skype credit for this, and rates, on average, are about what you would pay on a wireless plan. Texts sent to the U.S. are 11 cents each. Most other countries are less. You can call anyone in the world with Skype at a local rate using Skype-out. This service allows you to dial a number using a softphone, and contact anyone, even if they do not have a Skype account. 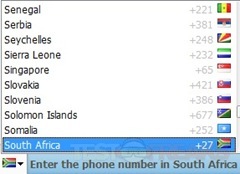 The person on the other line will not even know that they are being called through Skype. To use Skype-out, you purchase credit by the minute, much like a calling card. You may call over 30 countries on the global rate of 21 cents per minute. Other countries may be contacted at individual rates. Set up an online number to receive calls from any landline or cell phone. You pay $18 per month or $60 for a year, and can receive calls from anywhere in the world. You may set up your number in any area code in your country, so that those calls made to you will be charged only a local rate. Your callers will not pay any more than they would if they were calling a cell phone. 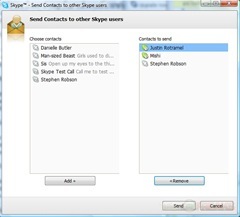 There are several calling plans provided by Skype. 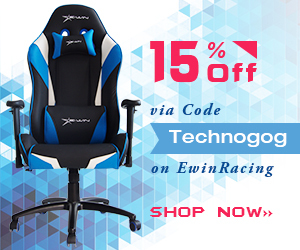 They are described below, with a break-down of prices and suggestions of which one is best for you. This includes Skype-to-Skype calling, video calls, transfer calls to Skype, forwarding calls to other Skype users, chat, conference calls, and all other the features described in numbers 1-45. 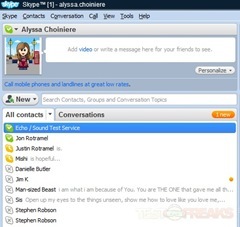 Individuals using Skype to keep in touch with friends or family, and people with international friends who also use Skype. Also sufficient for small businesses. With the Skype Credit plan, you can purchase everything you need in advance, like a calling card. This payment plan includes all the additional paid features, which incorporates Skype-in, Skype-out, SMS, Forwarding calls to cell phones or landlines, Skype to Go, and transferring calls to cell phones or landlines. Small businesses with foreign business negotiations, or any business with limited resources and irregular foreign contact. Also good for individuals who occasionally travel internationally. This includes unlimited calls to cell phones and landlines in the U.S. or Canada. -People with business partners or family in Canada, or businesses with many Canadian clients. For this plan, you pick one country which you may call for free. -Foreign nationals, individuals working for an international country based outside of the United States, or individuals with a loved one who lives or frequents another country. The unlimited world plan includes free calling to 40 countries. -People working for major international corporations, or businesses with international clients. It is possible to not only get the majority of these advantages of Skype for free, but to make money with it, too. The Skype affiliate program is available to any user who meets the requirements. It is an internet marketing service, constantly accepting applications. You earn commission for the amount and quality of promotions. With the Skype Credit plan, you can purchase everything you need in advance, like a calling card. This payment plan includes all the additional paid features, which incorporates Skype-in, Skype-out, SMS, Forwarding calls to cell phones or landlines, Skype to Go, and transferring calls to cell phones or landlines.You may use Skype credit for this, and rates, on average, are about what you would pay on a wireless plan. Texts sent to the U.S. are 11 cents each. Most other countries are less. free anywhere you travel, to another skype connection. http://skyperec.com/ which seems quite stable. Well, at least it never let me down unlike other apps. Hope it’ll help.